I have been using a MacBook Pro at work for the past 6 months. I’m not a huge fan of either the MacBook or Mac OS X. OS X according to me is highly bloated and a very poor unix platform. Try entering a command line option at the end of a command – For eg. ls * -l. Applications are installed in their individual directories and are almost never in the path when one needs to execute them from the command line. However one of the features that I grew to love about MacBook is the multi-touch trackpad, especially the two-finger scrolling. Having shifted to Arch Linux for the past month or so, I had been missing the two-finger scrolling. The trackpad that comes with my Lenovo Thinkpad recognizes multi-touch gestures. So I decided to look up how to get two finger scrolling to work and it was surprisingly simple. You should install the xf86-input-synaptics package if you don’t have it already. Step 1 is to update the Xorg Synaptics Configuration. In Arch Linux, this resides at /etc/X11/xorg.conf.d/10-synaptics.conf. 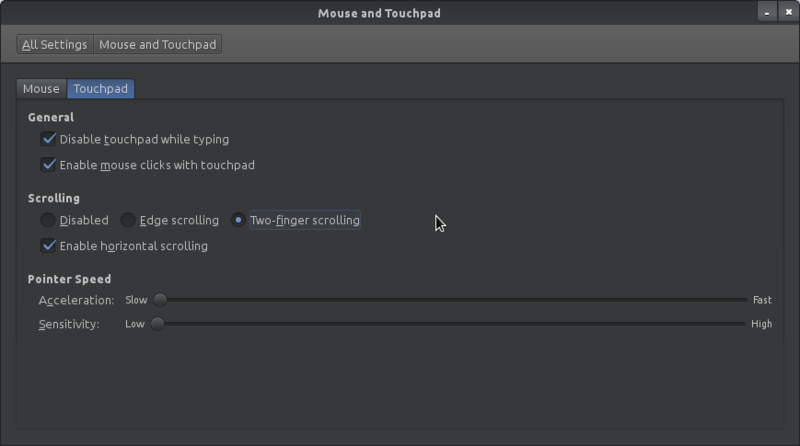 Step 3: Open the ‘Mouse and Touchpad’ section under ‘System Settings’ and enable ‘Two-finger scrolling’. Screenshot below. The above configurations were enough for me to get two finger scrolling to work. Awesome! The above configuration also enables 2 finger tapping if you have ‘Enable mouse clicks with touchpad’ enabled in ‘Mouse and Touchpad’ settings. A 2 finger tap will result in the right click menu. Not something I use very often. 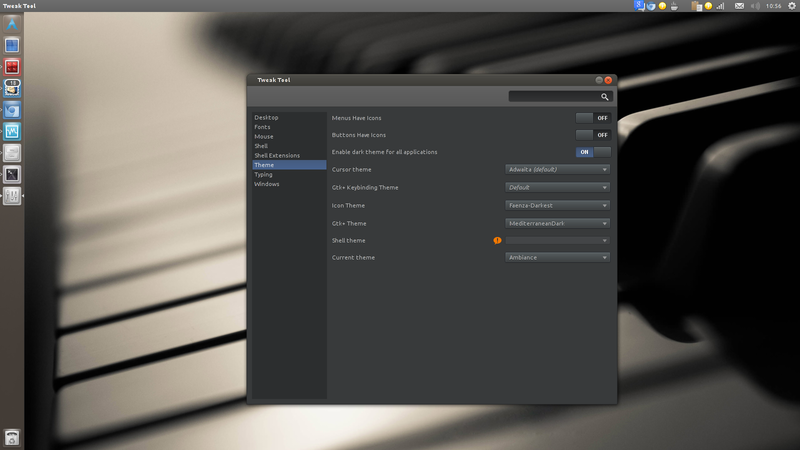 What GTK theme are you using here? It looks nice.